GSF Motor Works is one of the largest independent Mercedes Benz car servicing workshops in Central and South-West London. In our garage the Mercedes car owner can have the service, repair and the maintenance of his car carried out cost effectively by our mechanics in line with the manufacturer specifications. GSF Motorworks has the latest diagnostic equipment and can carry out MOT tests as well as premium quality bodywork repairs. Mercedes Benz traces its origins to Karl Benz’s creation of the first petrol powered car. The first Mercedes-Benz brand name vehicles were produced in 1926, following the merger of Karl Benz’s and Gottlieb Daimler’s companies into the Daimler Benz company. Mercedes-Benz has introduced many technological and safety innovations that have later become common in other vehicles. One of the best known and established automotive brands in the world, and also one of the world’s oldest automotive brand still in existence today. We are Mercedes specialists and a Mercedes service centre. Hundreds of loyal customers trust us to service a Mercedes car similar to yours in our spacious garage that spans across 9 servicing bays. 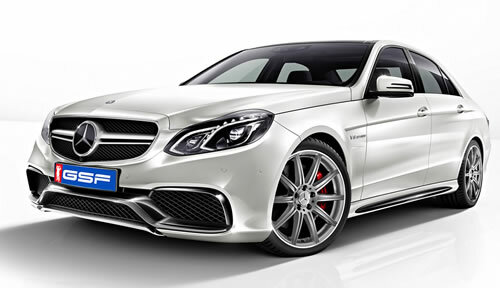 Depending on the Mercedes model, be it an A Class, E Class, S Class, a Mercedes ML or a top of the range AMG, we will apply the type of maintenance that your car requires. Type “A” or minor service includes oil and filter change, comprehensive visual health check (instrument cluster warnings, wind shield wiper and washer liquid, brake pads and tyres, fluid level checks in engine compartment), reset maintenance service indicator, car wash and vacuum and a road test. Type “B” or major service additionally includes air & pollen filter replacements, checks for leakages in the engine compartment and the underside of the vehicle, and checks of all systems in the engine compartment. In our workshop; in addition to servicing we also carry out MOT tests and bodywork repairs. With GSF Motor Works you maintain the Mercedes Benz Warranty as we strictly adhere to Mercedes Service specifications, use dealer level Mercedes diagnostics equipment and apply MB approved parts and accessories. The Mercedes Service Cost with us is a fraction of what main dealers charge. What we offer is not a cheap car service as many independent garages do – we offer a trusted value for money alternative. We can serve customers with Mercedes Benz in SW London, West and Central London areas. Are you looking for a Mercedes car key replacement? Do you need to have your Mercedes checked for wheel alignment? Do you want to have dents and scratches fixed or are you looking for some more serious Mercedes bodywork? Or is it just about a simple service, and want to ensure that a proper Mercedes diagnostic process will be applied? Mercedes-Benz passenger cars produced before 1997 were on scheduled service intervals of between 6,000 and 9,000 miles. All new vehicles from 1997 onwards include the Active Service System (known as ASSYST). If your vehicle is fitted with the ASSYST system, the following discipline applies. Many Mercedes-Benz Passenger cars are equipped with Service ASSYST. This is a variable schedule alternating from “A” to “B” service – “A” being a small, routine and “B” being a larger routine service. An indicator will appear on your display approximately one month or 600 miles before a service is due. Services are normally due between 9,000 and 18,500 miles or between 12 to 24 months, depending on driving style. The majority of models produced between 2003 and 2007 were equipped with Service ASSYST PLUS. This is also a variable schedule alternating from “A” to “H” service, with the letters indicating how much time and work will be expected to be conducted. “A” indicates a routine service and “H” would indicate a more in-depth service. Many models produced from 2007 have fixed service intervals. Services alternate from “A” to “B” and occur every 15,500 miles or after one year, whichever comes sooner. These fixed service intervals make it easier for you to plan your Mercedes servicing around your schedule, making it less likely for you to miss one. Our workshop manager always inspects and checks any work done on your MERCEDES – BENZ, and one of our lead engineers finally conducts a thorough road test.